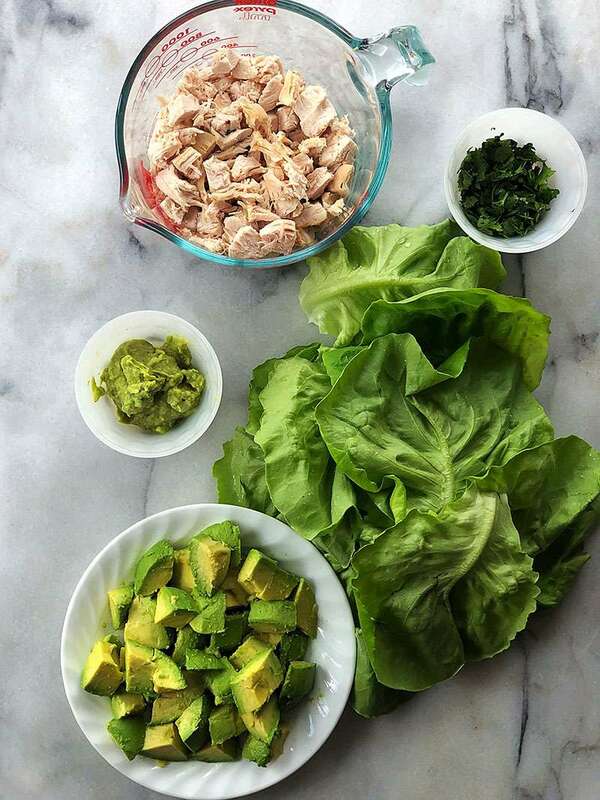 These low carb lettuce wraps will have you not missing tortilla’s one bit! 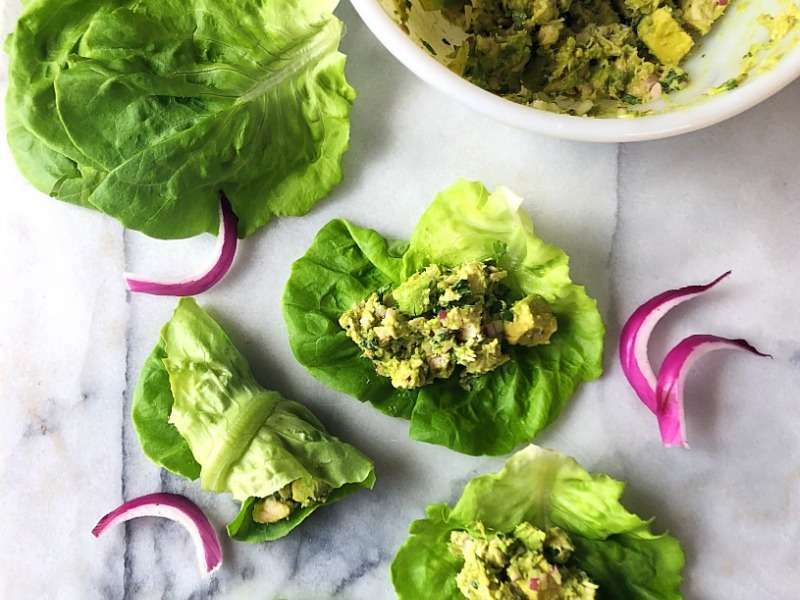 Wrap butter leaf lettuce around an amazing avocado chicken salad and you’ve got crunch, you’ve got flavor, you’ve got lunch! These wraps only require a short amount of prep time, especially if you use a precooked rotisserie chicken like the ones you can pick up in the local grocery store. 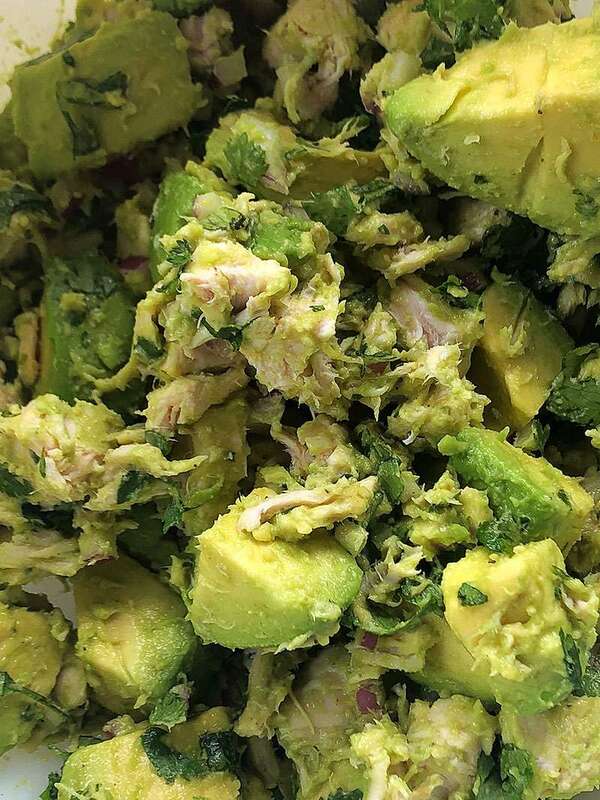 When selecting your avocados, make sure you pick ones that are slightly soft but not too squishy, there’s a great article on how to select avocados on wikiHow. Butter lettuce is also a better choice than romaine in this instance as it’s more tender but should you be unable to get your hands on some, you can use whichever you prefer. Use a rotisserie chicken to make this easier and save your self time cooking a chicken. Butter lettuce is best but you can use romaine or any other type you prefer. You can honestly substitute whichever ingredients you wish, it’s a very flexible recipe. Fresh lime juice is far better flavor wise than that found in a bottle and I recommend using fresh ingredients wherever possible. 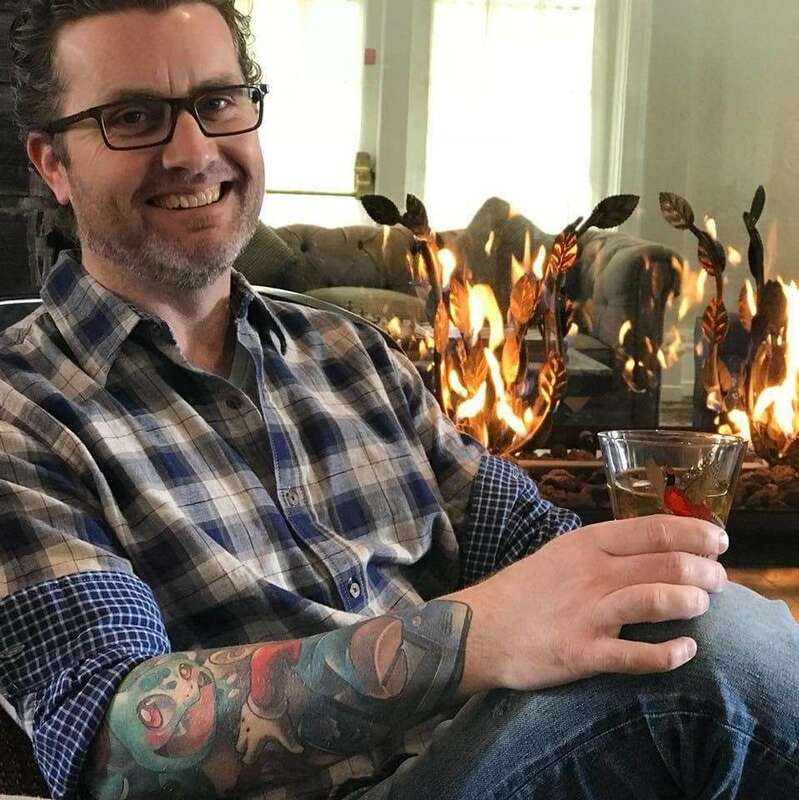 Why Lettuce Wraps instead of Normal Wraps? These low carb lettuce wraps will have you not missing tortilla's one bit! 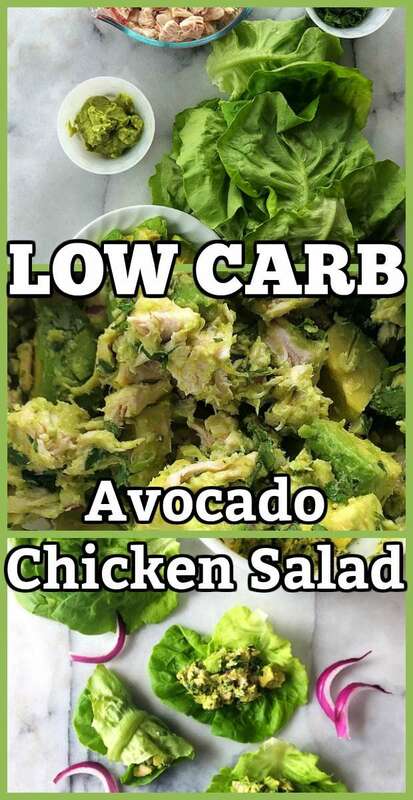 Wrap butter leaf lettuce around an amazing avocado chicken salad and you've got crunch, you've got flavor, you've got lunch! Serve in washed butter lettuce leaves. You can add or remove ingredients as needed to suit your tastes.